Friday, November 30. Advent! The color purple. Goodbye November! Sunday will be the day we welcome in the Advent Season. The Purple Candle will be lit. 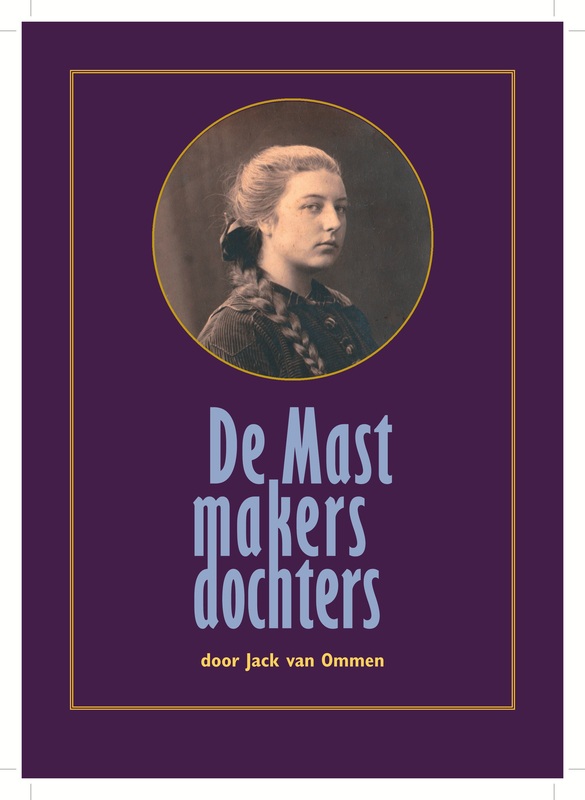 And, now for the commercial…, today I received the final manuscript, ready for the printers, of “De Mastmakersdochters”. You do remember the color of the cover…purple. 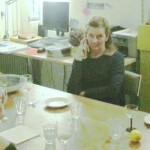 I want to acknowledge one very special lady, Ida Veurink, who works for the publishing company, Uitgeverij Heiijnk http://heijink.mijnbestseller.nl/. She has tireslessly spent many hours of her time to help me to make this happen. Lisa, my oldest daughter and mother of Corrine, arrives Sunday at Schiphol for a 6 day visit. She was 8 months old when the three of us moved to Brussels in 1965 and she could only speak French when we arrived back in Tacoma in 1970. Lisa, Corrine and I are going to take a sentimental journey to Belgium on Tuesday/Wednesday. 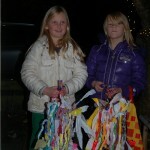 We’ll be at my sister and brother in law in Badhoevedorp for Saint Nicholas eve, December 5. Wednesday evening, at choir practice one of the Altos was concerned: “Do you have any relatives/friends here?” Yesterday morning my cousin, Gido van Ommen stopped by, later in the afternoon it was my nephew Dirk Jan, who then dropped me off in Badhoevedorp for dinner with my sister and brother in law. This evening one of the club members, Ernie, invited me for dinner. Saturday is still open, just in case. 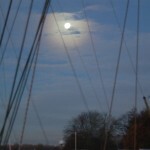 This morning I wanted to go up to the bridge overlooking the marina to take pictures of the setting moon. But the boat and docks were covered with ice. My energies are now focused on the English version of the book “The Mastmakers’ Daughters”. Sunday November 25. And once again from Kapelaan back to the Koster. I was the guest of Stephen and Maria Boonzaaijer this weekend. It is the 25th anniversary of “De Bondgenoot” (difficult to find the appropriate translation: someone you make a covenant with, The Elect, Ally, Trustee). 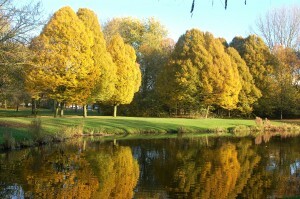 www.bondgenoot.nl is a Christian community, a miniature Kibutz in Barneveld in east central Holland. A rural area known for its concentration of poultry farms and in the Dutch Bible Belt. The spiritual leader of the community is Stephen Boonzaaijer. I met Stephen and his wife Maria in Papeete in 2005. They sail “Yo Soy”. Their boat is wintering in Portugal. In an earlier blog I reported that Maria www.stemstudiomaria.nl/ has just published her second book “Het Vreemde Meisje”, she has helped me with my “De Mastmakersdochters”. Maria grew up just a few streets over from where I was born. The community reminds me of the Quaker group who sponsored me into the Unites States in 1957. They lived with about six families in a compound in Sylmar in the San Fernando Valley, California. I am putting their names in this blog because I might this way find them back. Just like the 41 year old who found her father on this blog because I had used his name in it. My Quaker sponsors were William and Polly Hare. One other family was headed by Ernie von Seggeren and his wife Miriam. Ali an about 30 year old Afghan is one of the members of the “Bondgenoot”. His grandfather, father and all his uncles were murdered by the Taliban and he is seeking refugee status in Holland. He gave me a fascinating insight into the ethnic makeup of Afghanistan. He is a Hazara, a minority. who live in West Kabul and in north central Afghanistan. They are mostly Shiite whereas the Taliban are predominantly Sunni Muslims. Their origins are not clear but believed to have come from Mongolia and Eastern Turkey. I have seen several groups of them this year in Athens and except of the way they were dressed I could not believe how close they resembled Indo Chinese. I aksed him what we should do to help agianst their persecution by the Taliban. The first thing America needs to do is stop pouring billions into Pakistan’s military who support the Taliban with arms and protection inside their borders. After reading “The Kite Runner”, “Three Cups of Tea” and “Shantaram” I’ve become very intrigued with Afghanistan and would like to learn more about it’s complex make-up. Today is the feast of Christ the King. Stephen’s sermon was on Revelations 21: 1 :Then I saw a new heaven and a new earth, for the old heaven and the old earth had disappeared. And the sea was also gone. I had a wonderful weekend with a very special group of people. Next Sunday is the start of the Advent season. Count them one by one. My list gets longer every Thanksgiving Day. This is the 4th Thanksgiving away from home since I left the West Coast in 2005. I will be talking/seeing as many as my family members as possible on Skype. In 2005 I was on this day in Honiara, Salomon Islands, in 2006 in Mahajanga, Madgascar, in 2008 I was anchored off Beaufort, N.C. after a failed attempt to cross the Gulfstream on my way to Saint Martin. Next year, who knows, but according to the current plan I’ll be in Morocco or the Canary Islands. Put a piece of dark meat and a chunk of Pumpkin pie in the freezer for me, please. I have joined the choir here at the St. Augustine church. I practiced with them last night. Great group of people. I sing with another 6 tenors and 6/7 basses. The 30 odd women section is about equally divided in altos and sopranos. The Christmas program looks exciting, parts of Mozart’s Coronation Mass. We practiced the Dona Nobis Pacem, which is very similar to the same part in Mozart’s Requiem Mass, which I have sung years ago. I quote the below passage outof my upcoming book “The Mastmakers’ Daughters”. Three of my mother’s prison mates had been caught in an attempt to break out of concentration camp Vught in August 1944. They were punished and locked up in the notorious “Bunker”. stool on top of it one could speak right into the duct hole and it could be heard as far as five cells away, in both directions. And it was impossible to hear in the prison corridor.The ladies entertained and lifted the spirits of the men, on occasion, with singing the “Dona Nobis Pacem” out of Mozart’s Requiem mass. had just delivered a blow against the enemy. His neighbors felt defeated and saddened; Frans had just received news from home for the first time in many months. He had been so filled with joy and gratitude that he offered to give the daily devotional over the “intercom”, the previous evening. Dirk Jan stopped by yesterday afternoon. Corrine came for an early dinner. She is having the traditional dinner with two other of her American student friends here in Amsterdam and then she is off to Louvain this weekend to cook turkey for her boyfriend and a group of his friends. I have been invited at the Boonzaaijers in Barneveld for the weekend. November 13 is the birthday of St. Augustine, he passed away on August 28, in the year 430. The feastdays of the saints are usually celebrated on the day of their death. But on August 28 the parishioners of the church of St.Augustine here are still on the beach. Saint Nicholas was smarter he died on December 6th. But I wonder if Saint Augustine’s parents knew he was going to die in August when they named him. History tells us that Augustine believed in worshipping the Lord in song. There were 5 choirs around the altar. 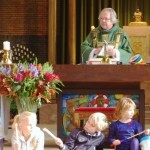 But this time father Bakker did not just preach to the choir, the church was nearly half full. I say it again the liturgical support quality of the churches here are the envy of American pastors, but not the poor attendance and collections. The Teenage choir, with the children’s choir sang the popular American song “From a Distance”. The three adult choirs sang parts of the liturgy from Mozart’s Missa Brevis K-49. I felt again very privileged and blessed. It has been dark and cold but today is bright, sunny and cold. Yesterday was workday for members of the yacht club. Its called “werkpret” (work fun) and the club makes it very enjoyable. Thomas and Ingrid looked after the lunch with bratwurst and potato salad, for which he had brought the ingredients back from a trip home to Germany. I helped rake leaves and cleaned out roof gutters. We gathered around the bar afterwards. We men were dead tired but the women were dancing around the billiard table. I like this club. Friday November 16. In hibernation. It is just a few degrees above freezing. I just took the hand washed laundry from the life lines. Wednesday the sun broke through the overcast but no such luck yesterday or today. I had to hang out the nearly dry laundry all through the cabin. Guus Bierman mailed me a complimentary ticket for the METS exhibit in the RAI. This is the world’s biggest trade fair for the leisure marine industry. This is where the manufacturers and marine organizations meet their distributors/customers. It runs for three days but it would be impossible to see all the different exhibits in those three days. This is a good reason for anyone who does not read Dutch to come and attend my one week “total immersion” course for $5.00, next month. If the canals are frozen over you will receive a rain check. The below picture was taken when the sun managed to burn through the overcast, on my way back from the METS show, through the Beatrix Park. This park was our playground where I grew up. The trees were then spindly sprouts. 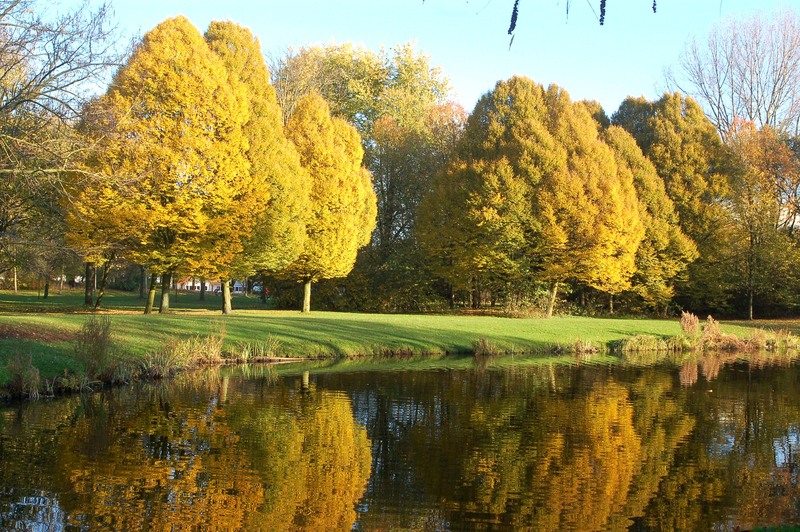 There are many reasons that I should be planting trees, like these. I have done my part in my former profession to fall the giants of the forests for profit. Mea Culpa, mea Maxima Culpa…. Wednesday evening my twin brother,Jan, and my brother in law, Herman van der Linden came to take me to dinner. I had not seen my brother since 2010. He looks good for his age. People tell me that I look like him. 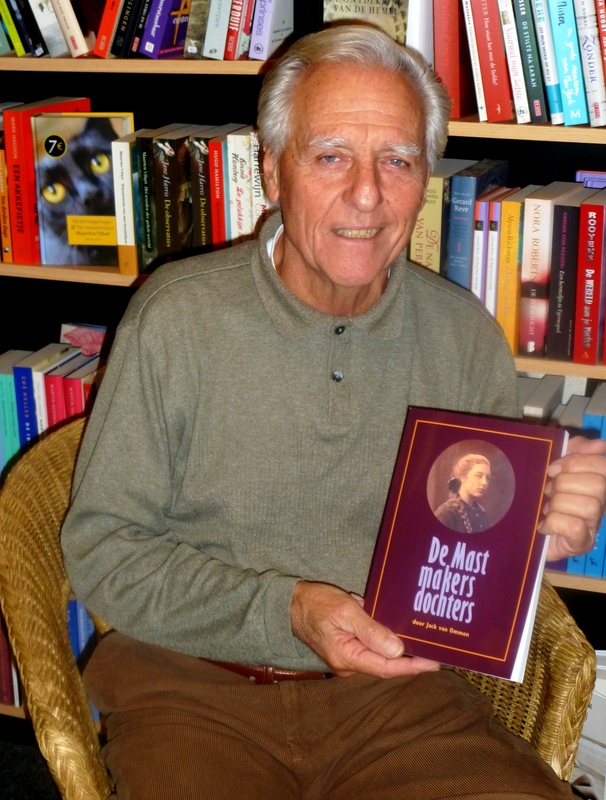 I had a look at the first proof of the “De Mastmakersdochters” at the publisher. It needs a little more fine tuning but the book shall be available before the end of the month. It is cold and foggy. The barometer is at nearly 1030 millibars, about as high as I have ever seen. My twin brother is visiting Holland for a few days, from his home near Hamburg. I am off to the professional marine trade show. The largest of this kind anywhere. Sunday. The 11th of the 11th. Feast of Saint Martin. Only on rare occasions does the feast of St. Martin fall on a Sunday. 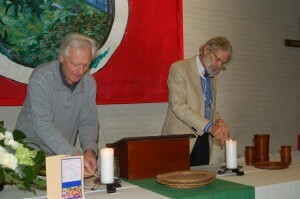 Father Bakker ran out of hosts and had to return for a new batch several times before the multitude was fed. Instead of the usual sparse attendance the church was half full today. It was a family mass with the children’s choir. The children paraded in with their jack o’lanterns. After dark they went out door to door singing a Saint Martin song for a treat. Our Halloween has its origin from this earlier tradition. Rennie saw mothers push their small children with their jack o’ lanterns into stores while they stood outside ready with the bags for the treats the kids were to bring out. She overheard a mother ask her little boy: “Mehr het er disch nit jejouwe?” (Cologne dialect: “That’s all he gave you?”). have a drink of beer”). It’s another bright crisp day. Last night my sister and Herman asked me over for dinner. I had coffee with Evelyn after mass. The below picture of the two girls was taken at my nephew’s home. where I had dinner and heard the neighborhood kids sing their Saint Martin songs. Wednesday November 7. The Morning After. I have crossed the Rubicon. In the coming week I will hold the proto-type of “De Mastmakersdochters” in my very hands. Keep an eye on this blog for further news on the distribution. The English version is getting all my attention now. My home state, Washington, in yesterday’s elections, approved the public sale of Marijuana. So, a couple of my friends have already cancelled their plans to come to Amsterdam for a smoke. My first wife lives in California and is still driving the V.W. bus we brought with us from Europe in 1970. She is painting the Peace emblem back on the bus and is offering rides to Washington State. If my book does not sell I may look into becoming a weed-farmer. George Snijder’s wife took the below picture, last Friday. George and his wife live on an old Tjalk and George is the expert on tracing the origins of Dutch classic boats. He helped find this information for the 110 year old “Vrouw Maria” the home of a Southern California couple in the Los Angeles harbor. 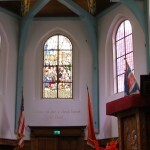 For the not so faithful blog visitors “Van Koster tot Kapelaan” ( From Preacher to Priest) is de botter race of the protestant Bunschoters to predominantly Roman Catholic Volendam. I reported on the September 29 race. This morning I attended service at the English language reformed church in the Bequinage with my Australian niece, Jozina. The sermon was on the book of Ruth. I learned a bit of trivia in Amsterdam, from the sermon, that Oprah Winfrey’s name was a misspelling of Ruth’s sister in law, Orpah. So, here it proves once more what you are missing by sleeping in on Sunday morning!! I barely made it back to the safety of my 3 x 8 foot (1.50 x 2.50 mtr) living room when the weather returned to normal and the rain has not stopped yet. Why am I here when I could be anchored off a palm fringed beach? I promise to share the answer when it is revealed to me. Tuesday evening my senior niece, Mariken, and her daughter Phoebe, treated me and her older brother Dirk Jan and her Australian sister Jozina to a superb Mussels dinner. See the below picture. Jozina is here for a three weeks visit from her home in Perth. Friday I took the train to Enkhuizen to visit the annual Classic Boat Fair. I had lunch at Astrid Lurweg’s Spelthuis bakery/cafe http://www.spelthuys.nl/. We met on Hiva Oha in the Marquesas in May 2005 and later in Papeete and Vanuatu. Astrid was the 1st mate/stuurvrouw on a classic three masted brigantine/bark, then. Be sure to vist her shop when you are in Enkhuizen. 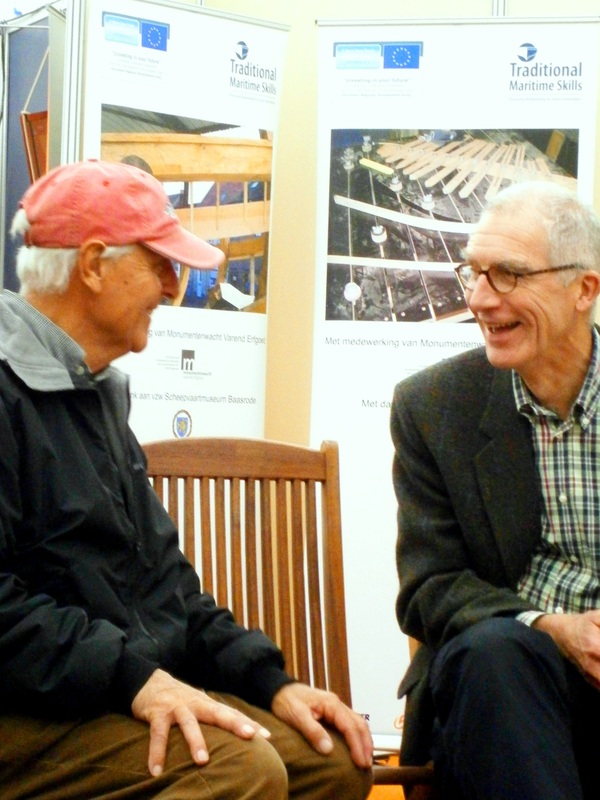 I had a chance to meet several friends I made through my interests in the classical Dutch sailing fleet. Hans Kuperus of “Water Music” who I met in the Greek Islands this summer met me at the fair. He took me aboard the m/v “Hydrograaf“, whose owners he is acquainted with through his profession in the maritime industry. Hans graduated from the same Naval Architecture school in Haarlem where my twin brother has his marine engineering degree from. The “Hydrograaf” was launched in 1911 as a steam powered hydro graphic cartography vessel to map the shallow waters of the Dutch inland seas and coastal waters. It was also set up to be used as a royal yacht to visit the parts of the Dutch kingdom that were only accessible by water. My mother describes her visit to the island of Urk in “The Mastmakers‘ Daughters” in 1921 when Queen Wilhelmina arrived on the island on the “Hydrograaf” to inaugurate the first electric power installation on the island. The moment I stepped aboard into the over 100 year old ship, it was like a time warp, the rich Rosewood panelled interior, polished brass, the smell of snert (Dutch pea soup) from the galley. Hans drove me to their home in nearby Hoorn. They live right in the old center in a 400 year old home with huge 20 x 20″ oak hand hewn timber frames. 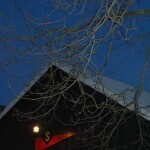 Their yacht club in Hoorn hosted a slide and video presentation of Paul Giep http://giebateau.weblog.nl/ and his partner Karolina. This young couple has gone places few of us will ever see. Steel nerves and a fibreglass hull. To 68 degrees north on Spitsbergen and 68 latitude South in Antarctica. They observed, as an example, a year’s cycle of the wildlife on the Falkland Islands. Incredible beautiful photography of the penguins, albatross, leopard seals, etc. Go take a look at their web blog. 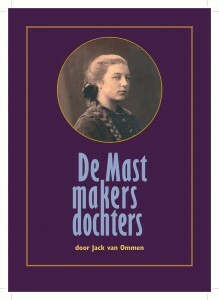 the cover of “De Mastmakersdochters”. My earlier ideas to try and tell the story with a number of photographs, just did not work. The synopsis of the story is on the back cover and I hope that the cover offers enough intrigue to flip the book. Rennie de Vries schrijft met veel gevoel en vaak heel persoonlijk over haar herinneringen vanaf 1901 in de Lemmer, waar zij opgroeide boven de mastmakerij. Haar nicht, ook een Rennie de Vries, groeit op in Duitsland waar haar vader een mastmaker is. In de oorlog is de nicht lid van de NAZI partij en Rennie werkt in het verzet. Rennie wordt, als jonge moeder, gearresteerd en het verhaal volgt haar en haar lotgenoten via Vught, Ravensbrück naar Dachau en de jaren na de oorlog van Rennie en haar nicht. De schrijver heeft een, tot nog toe onbekend, bijzonder stuk oorlogsgeschiedenis van het “AGFA Commando” samengesteld. Twee honderd moedige vrouwen die samen zingen, bidden, huilen en lachen. Van Ommen ontdekte, vaak schokkende, feiten en misconcepties over de oorlogsjaren. Dit is een verhaal over een Zuiderzeehavenstad tot de drooglegging, van zeilvaart naar stoom en dieselmotoren, over Urk, Groningen, de veenkolonies en de eerste wereldoorlog. Rennie nam geen genoegen met de ongelijkwaardige rechten van vrouwen in het begin van de 20e eeuw. Zij was één van de eerste bestuursleden van de Gereformeerde Meisjes Vereniging. Haar medegevangenen kozen Rennie als hun Blockälteste. Boven alles is dit boek haar getuigenis van haar rotsvast geloof een kind van God te zijn. Rennie van Ommen-de Vries writes a detailed memoir, starting in 1901, of growing up in de Lemmer above the mastmaker shop. Her cousin, by the same name Rennie de Vries, grows up in Germany where her father is mastmaker. The German cousin becomes NAZI party member and Rennie van Ommen joins the Dutch resistance. She is arrested and the story follows her through the prisons and concentration camps of Vught, Ravensbrueck and Dachau and the post war experiences of her and her German cousin. The writer has managed to reconstruct a complete story, which until now were fragmentary unpublished reports. In particular about the 200 women of the so called “AGFA-Kommando”, how these brave women survived and how they sang, prayed, laughed and cried together. Van Ommen discovered, often shocking, facts and misconceptions about the war years. This is a story about a port city on the Zuiderzee till the sea was tamed to a fresh water lake, of the change from sail to steam and later diesel propulsion. Over the Mastmaker daughter’s life experiences in places like the island of Urk and the affects of the 1st World War. Rennie embraced the emancipation and became active in the first Christian women movement. Her co-prisoners elected her to be Blockaelteste, as their spokesperson with the concentration camp guards. Above all this is the profession of Rennie’s faith in the Lord through her life but in particular for her and her companions during her imprisonment. The cover is the very last step in bringing the book out. I should have more details for you in the next days. Today is All Saints. For me a very appropriate day to bring this tribute out to a very special woman. My next focus is on getting the English version into publication. Yesterday was a gorgeous sunny cold day and I had a chance to remove the sails and some of the settee cushions from the boat and store them in the dry boat shed. I also winterized the engine. Today was another nasty windy wet day. I rode my folding bike to the office of the cover designer, Victor Levie, in the Lutmastraat. Which is near where I grew up. I came through the Nierstraat, where the Anne Frank school is. The entire exterior of the school is tiled with text of the handwritten diary. One of the discoveries I made, in the research for the above book, is that the very same two SD officers who were in charge of arresting the Frank family in August 1944 also arrested my father four months earlier. The Franks followed the same route as the Mastmaker’s Daughter to the Weteringschans prison in Amsterdam. I might have mentioned this before. my father received one of the very first issues of the Diary of Anne Frank from her father, Otto, with his dedication in it.